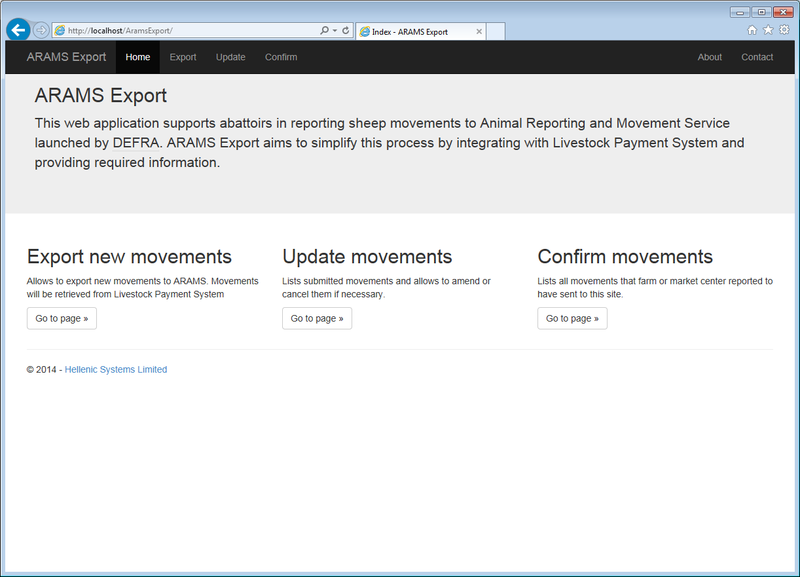 The ARAMS Export is a web application that supports abattoirs in reporting sheep movements to the Animal Reporting and Movement Service (ARAMS) in England. 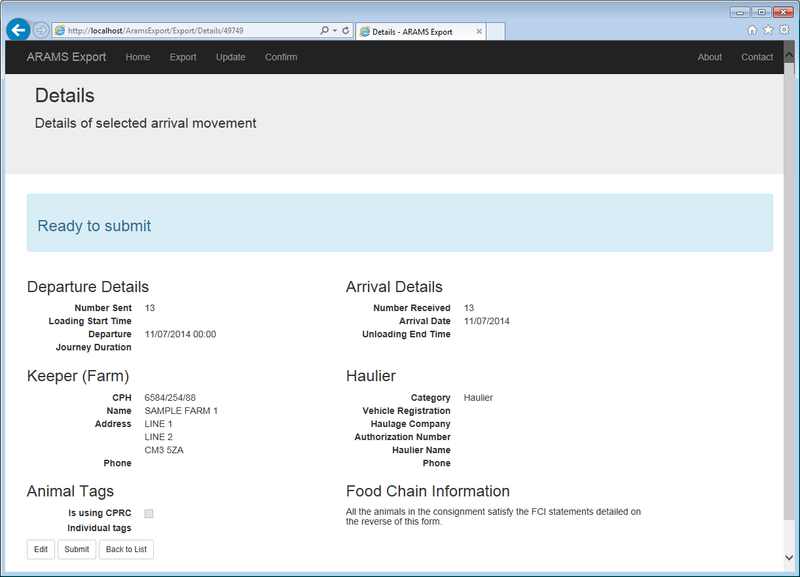 On the 1st April 2014 Department for Environment, Food and Rural Affairs (DEFRA) launched a system for electronic movement reporting. According to the corresponding regulation all movements to abattoirs must be electronically reported. 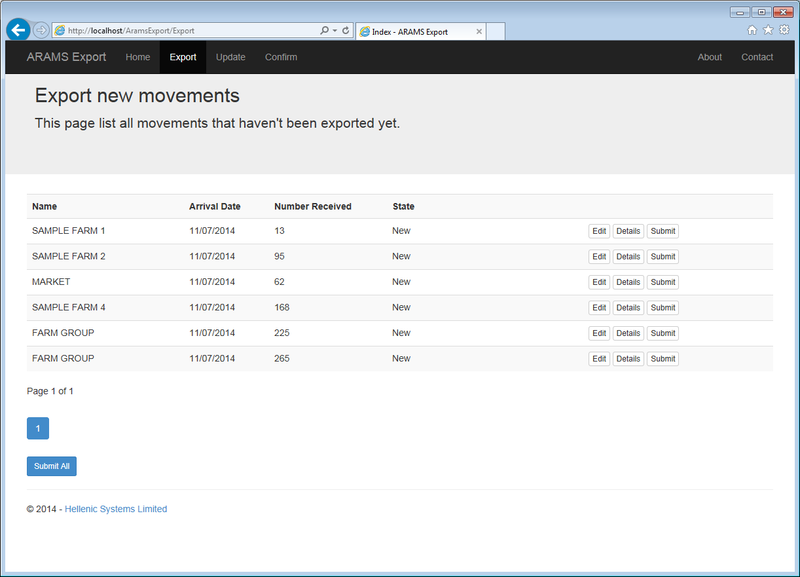 The ARAMS Export software aims to simplify this process by obtaining movements' information from the Hellenic Livestock Payment System. The Application has the flexibility to retrieve the movements data (kill records) from existing Hellenic or third party livestock payment systems. Note 1: The RFID panel is connected to the Hellenic or third party Livestock payment system. 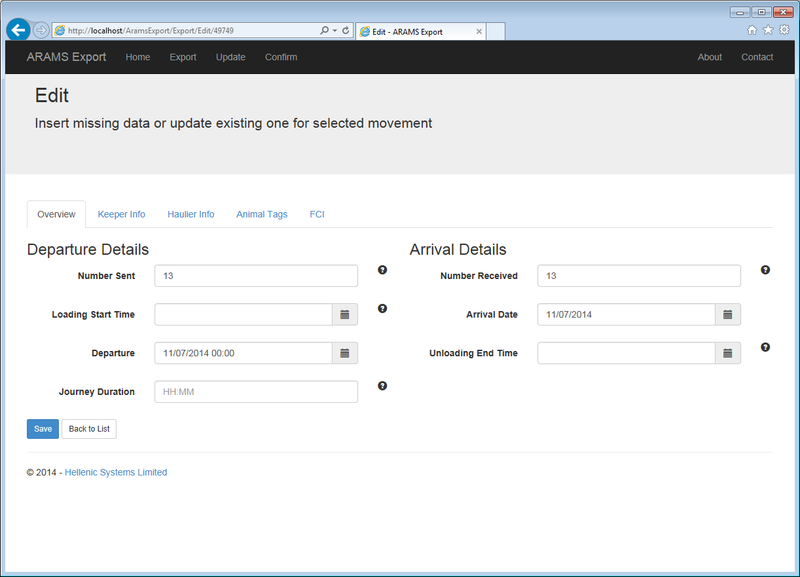 The ARAMS application retrieves this data, where required, from the livestock database.